What Are the Details in Auto Detailing? Home/Blog, Uncategorized/What Are the Details in Auto Detailing? Many vehicle owners drop their cars, trucks, or vans off for auto detailing and never really consider the process. One moment the vehicle looks dull and grungy, and the next is bright, and sparkling clean. But many people simply glance through the list of services, and leave the auto detailer to their job. If you’re searching for the best car detailer, their services should include a full range of services. Special tools will be used to clean the exterior your vehicle of road dirt and grime, and the spills and debris that can occur inside. Besides the purpose of keeping your car looking great, auto detailing also has the additional benefit of helping to retain a higher resale value. Car detailing can be broken down into six different major services. Chassis and Wheels. Many vehicle owners neglect the wheels when they’re washing them at home. A good car detail will clean under the car, within the wheel wells, around suspension components such as anti roll bars and control arms. Certain features of the vehicle such as splash guard and inner tires can also be sprayed with a plastic protectant. Wheels and tires can also benefit from a protectant that will improve luster, and protect against cracks and corrosion. Engine. This is often an add-on but more than worth the extra cost. The engine will be lightly sprayed with water and washed with a degreaser. Once the engine is clean and dry, it will be covered to protect the components from cracking. Headlights, Taillights, Exterior Trim. These items will be polished with a compound to remove oxidation and make them shine. Everything will be cleaned, and then a plastic sealant will also be applied for protection. Interior Detailing. Interior detailing will include cleaning the windshield, and vacuuming and steam cleaning the upholstery and carpets. Leather will be conditioned and cleaned. All surfaces will be wiped down and have protective products added. This service may also include the trunk region of the vehicle. Painting and Finishing. The exterior finish of a car is often one of the first things people see on a vehicle. It comprises the greater part of its exterior surface. It can also be one of the most consuming to renew. It takes a three-step process to do a complete paint and finish detailing job. It begins with giving the car a good wash, and then drying it to ensure any foreign particles are completely removed. The next step is a clay bar application, which removes ground-in surface contaminants. Metal particles, dirt, and tar can become deeply ground in and need to be removed. The next step is a good polish to remove fine scratches and swirl marks. Finally, a good wax will seal in the paint and make it shine. 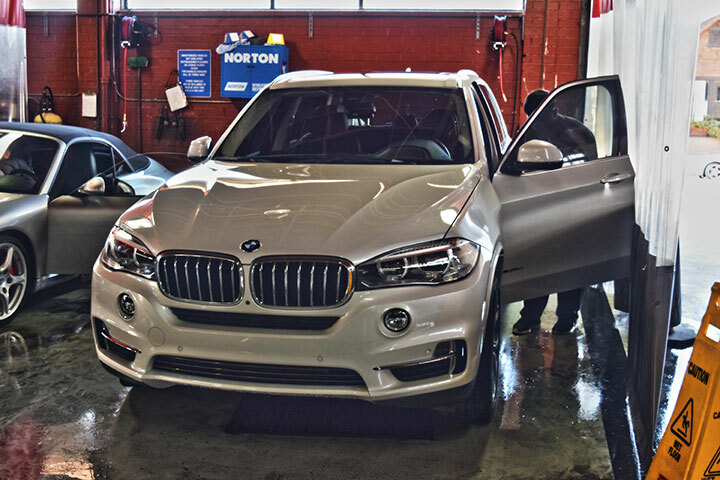 Once you understand the great care that is taken during a detailing service, you’ll gain an appreciation for how it’s important to hire an auto detailing service on a regular basis.